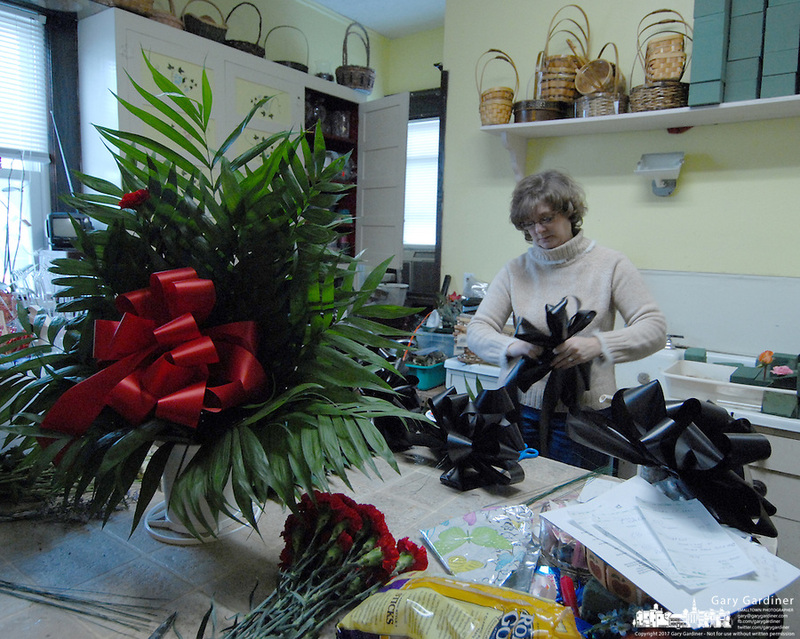 Florist Connie Bailey in Buckhannon, WV, makes black ribbon bows Friday, Jan. 6, 2006, to be displayed to honor the miners killed in a mine explosion Monday at a mine in Sago. Twelve miners died in the explosion. (Photo by Gary Gardiner)..